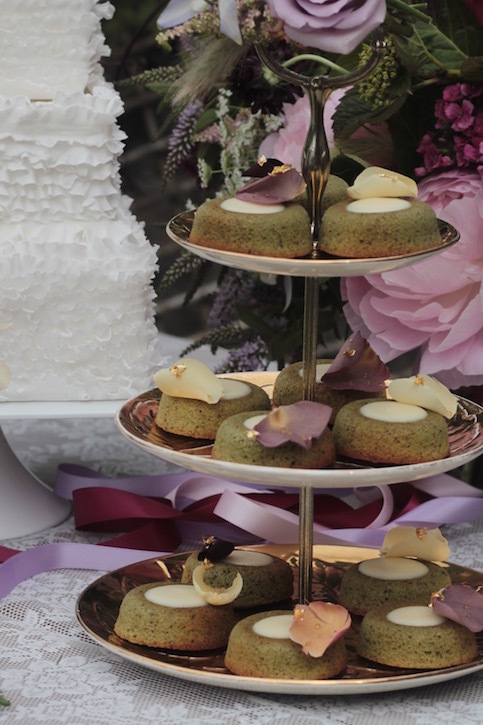 A stunning and delicious alternative to a traditional wedding cake or cupcakes, our award-winning pâtisserie is the perfect choice for foodie couples. A very flexible and affordable option, wedding pâtisserie can also be served instead of dessert or as part of a dessert table. If you'd like to marry the contemporary with tradition, we can also provide "top tier" cutting cakes which can be cut on the day or kept for a later celebration! Working with only the finest quality, seasonal, local, natural and even wild ingredients, Sonnda has created over 20 (and counting) delicious pâtisserie items, just a few of which are shown in the gallery below. 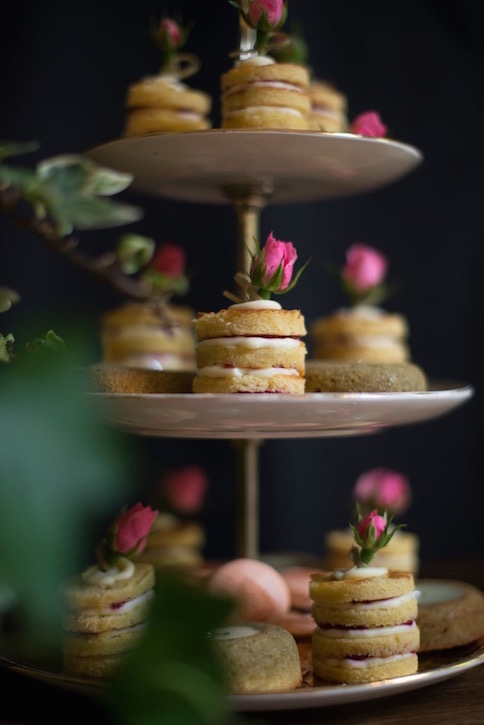 Choose from financiers, macarons, tea cakes, gâteaux, layer cakes, chocolate pots and much more. Please get in touch for a copy of the full pâtisserie menu. Miniature pistachio meringues, ready to be filled with pale green, floppy as a cloud, pistachio cream. Rustic wedding pâtisserie selection for a farm wedding. Image by Ferrier Brown Wedding Photography.